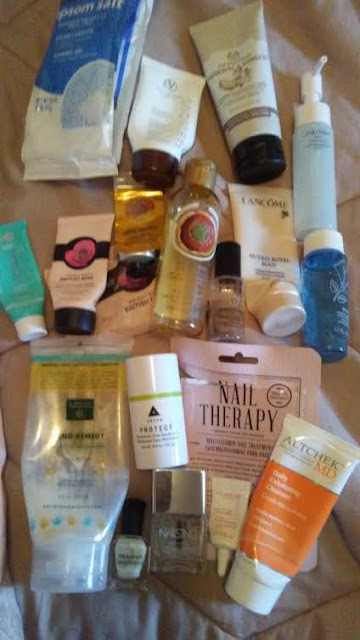 I have complied my empties for this June Empty post review featuring massive skincare products, some beauty and hair care, and lifestyle items! I personally felt very good that I used what I already have in my small beauty collection to make sure I used before consider buying more, which can become an addiction among bloggers! Read more below about the products and samples that I used up and details for my next Empties Review! 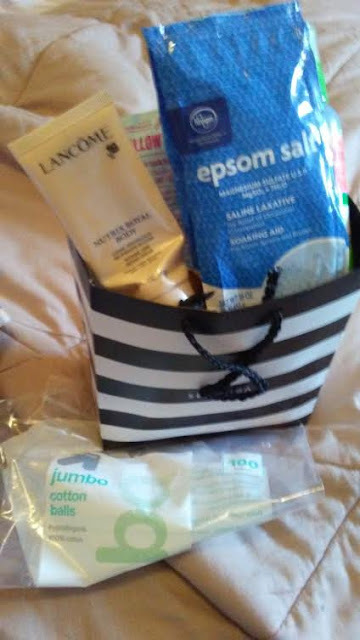 I have used up alot of skincare items that I mostly get at my grocery/drugstore, Birchbox monthly subscription boxes, The Body Shop goodies from my local TJMaxx, and from consignment shops! Some of these items I will use again for their effectiveness with my dry skin type for my face and body while others I will not buy or simply glad it was a sample only! 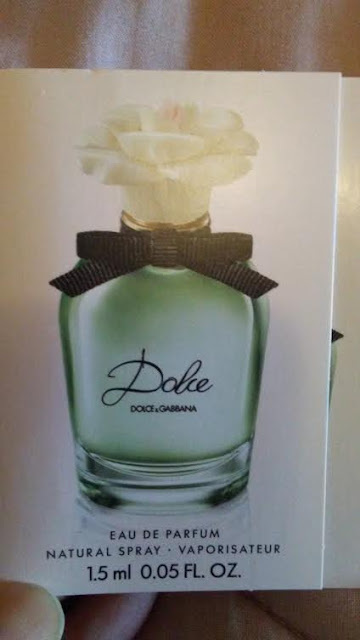 A few luxe skincare brands I love but had to get via clearance, TJMaxx, monthly samples, or consignment esp after Mother's Day! 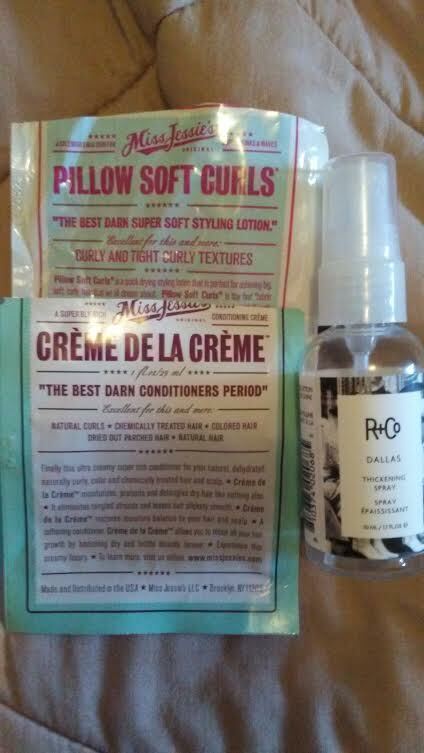 This June, I personally used Miss Jessie's sample paks one week before my relaxer touch up and will buy them again! Although I have loved R + Co products via Birchbox, this Dallas spray smelled like alcohol and my hair felt like it despite using it sparingly, so no I will not try nor buy this product again! These cosmetics from Coastal Scents, Loreal Paris, and Stila Cosmetics were nearing almost 2 years and just gathering dust in my drawer and counter space! Nothing wrong just they were starting to show signs of breaking down or did had contact with my eye infections due to my auto immune system thanks to Crohn's Disease! When in doubt, throw it out! 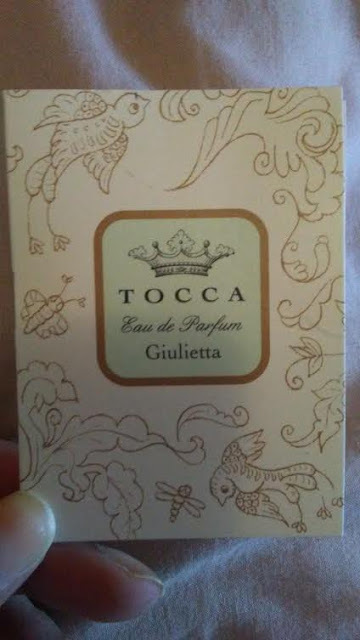 I love Tocca fragrance which I love receiving in my monthly Birchbox in "Giulietta" which is a good daytime perfume and might get someday from Birchbox! 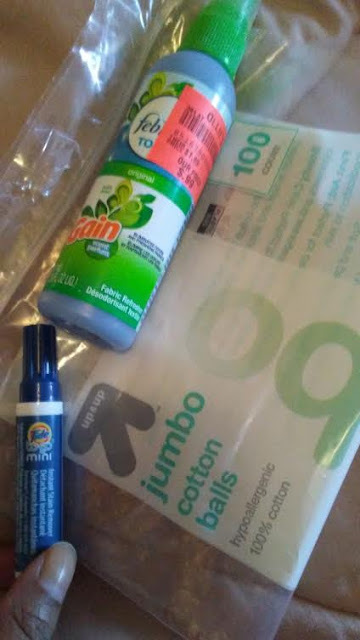 These are a few of lifestyle items from Febreze to freshen my lightly soiled clothes & fabrics from summer orders like BBQ, Tide stain stick for attacking stains immediately, and using Up and Up (Target brand) cotton balls for beauty to craft needs! 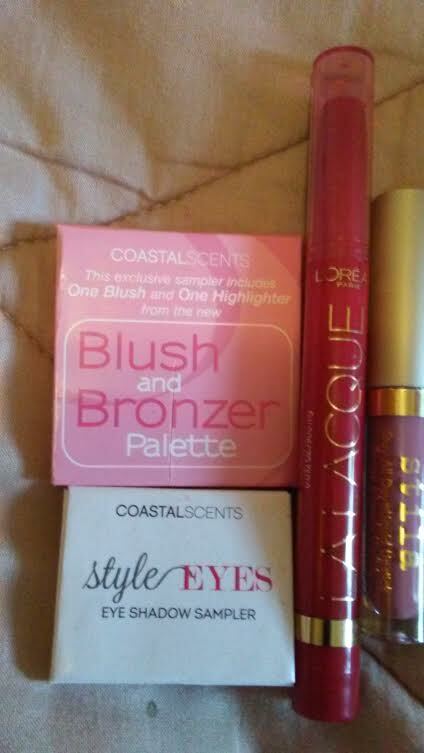 All of them I will easily repurchase again and again! I hope you enjoyed my Empties Review for June and I decided to combined both July/August Empties Review in September which will have more skincare, hair products, beauty, and lifestyle items that I will officially "clean out" my beauty drawer, counter, and various bags before stocking up on new products for the Fall/Back to School season! Simply want to say your article is as astonishing. The clearness in your post is simply cool and i could assume you're an expert on this subject. Well with your permission let me to grab your RSS feed to keep updated with forthcoming post. Thanks a million and please keep up the rewarding work. Check this Write my Essay for writing related help.